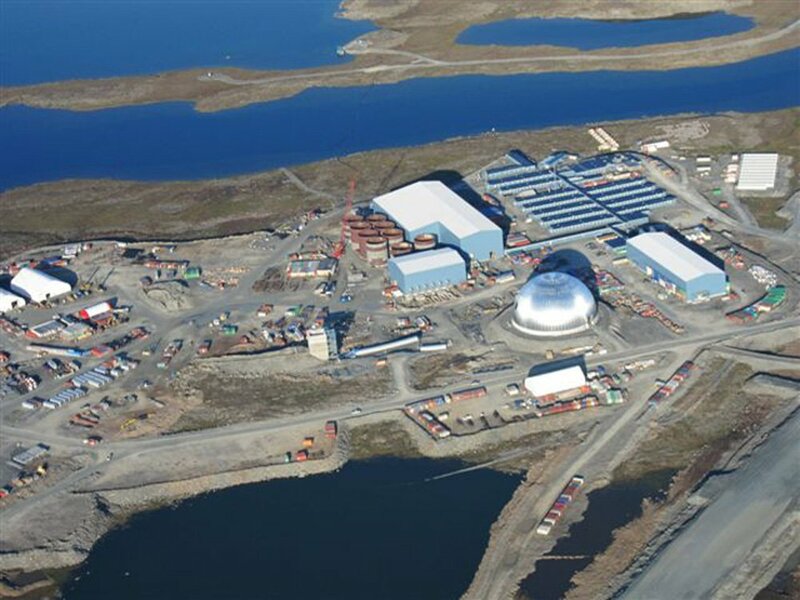 Nahanni was awarded contracts for the civil and structural work. The weather at Meadowbank was some of the most extreme our workforce had ever encountered – more severe than the conditions at Diavik or Ekati. The extreme winds and weather fronts that come off Hudson Bay created a unique set of safety challenges unheard of in almost any other working environment. Nahanni’s experience working in the North is unmatched, so it was only natural that we played a lead role in helping other contractors get up to speed on how to work in the safest and most effective way possible under especially challenging conditions. We know firsthand how to store and maintain equipment so it remains reliable throughout the project, and we shared this knowledge with southern counterparts who did not have the same experience. In making sure that equipment ran smoothly, we were able to help avoid delays in all aspects of the work on the secondary crusher – a key factor in completing the project on time and under budget.